I am kind of a know it all. Not so much in a bad way, it's just that I know a lot of things. Need to know random, odd facts, obscure pop culture references? Forget Google, I'm your girl. My facts may not always be useful, but it wins arguments. One of which popped up in a recent discussion about trends, more specifically if trends exist in skincare. I know; but you're my people. You know there are beauty and skincare trends, but I was with less beauty minded folk. Really though, who questions a beauty blogger? My defense lead me to the topic of the day- boosters. They're definitely a trend on the rise as more and more brands throw their options into the ring shelves. Dermalogica and Indeed Labs are just two of such brands, and the ones I've been adding to my routine as of late. If you know me, and my skin, you know I tend to live on the dry side. Therefore, my first choice in boosters is almost always going to be the hydrating one. 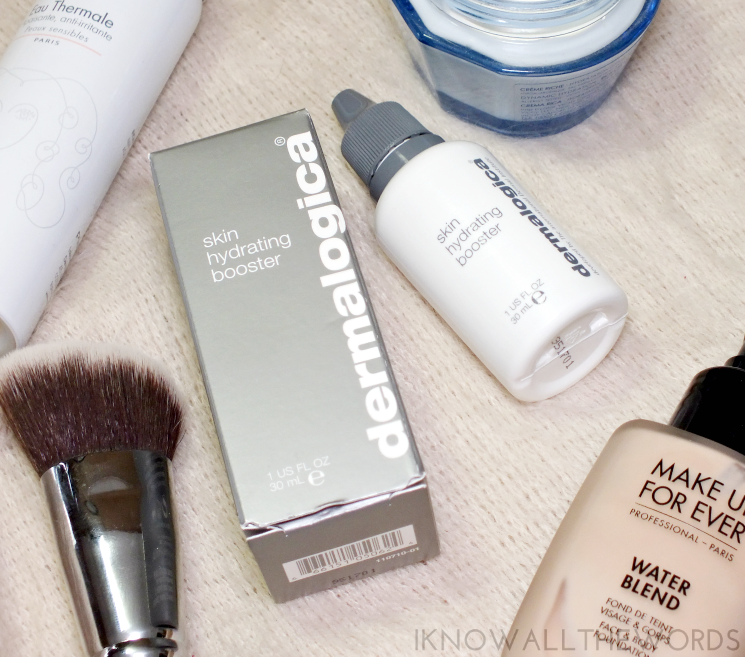 Dermalogica Hydration Skin Booster is just that. The clear, water-like booster is a super concentrate that works to relive dryness (and thus, the appearance of fine lines) by lifting moisture levies. The formula boasts everyone's fave hydrator hyaluronic acid, along with panthenol, glycolipids and algae extract to restore your moisture balance. As it's a booster, it's meant to be added to your serum, moisturizer, primer, or even foundation to boost it. But, you can apply it directly to the skin if you wanted to (although, it's recommended you mix it you have sensitive skin.) I've been adding to my serum in the am (my pm booster is coming up next) and while I didn't feel/see the results immediately, I did notice a difference in dryness a few days into use. I like this as a morning booster since it aids in the wear and application of makeup afterwards. I find my skin retains hydration better throughout the day and isn't as tight or dry by the time I take my makeup off. 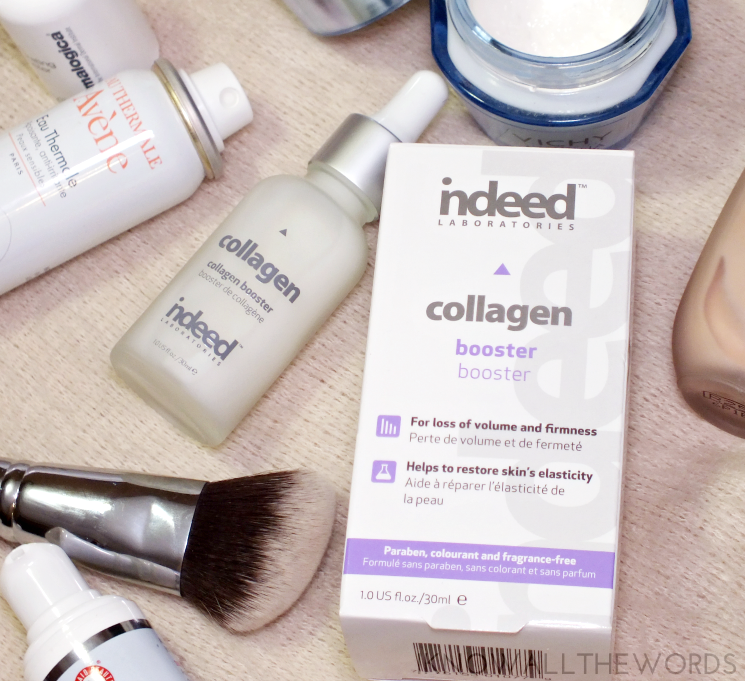 The Indeed Labs Collagen Booster is my pm skincare add-in. 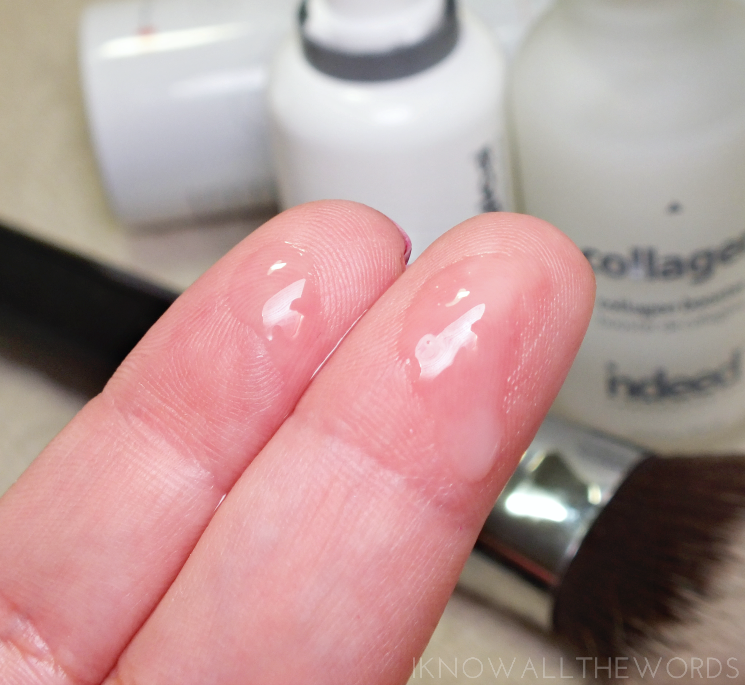 The texture is super light and milky, but a teensy bit heavier than that of Dermalogica. Also notable, is that it utilizes a pipette dropper, while Dermalogica has a fine fine-nosed dropper opening. Now you know. Anyway, the formula is designed to increase skin's collagen production (via multi-peptides) to improve skin firmness, reduce the appearance of fine lines, and improve texture and elasticity. Like the Dermalogica Booster, I add this booster to my serum. This booster took a more substantial time frame to being seeing results, but I do think my skin texture and overall tone have improved. I'm not quite at the stage to see much in the way of visible aging (aside from a few fine lines around my eyes that never used to be there...) but as skin begins to lose collagen after the mid-20's, I'll gladly take the does of prevention over visible results. Overall, I'm a fan of boosters. They're an easy product to incorporate into your routine and address a multitude of issues. Both Dermalogica and Indeed Labs offer other booster options, so you can mix and match to suit your skin. What do you think, tried either of these? 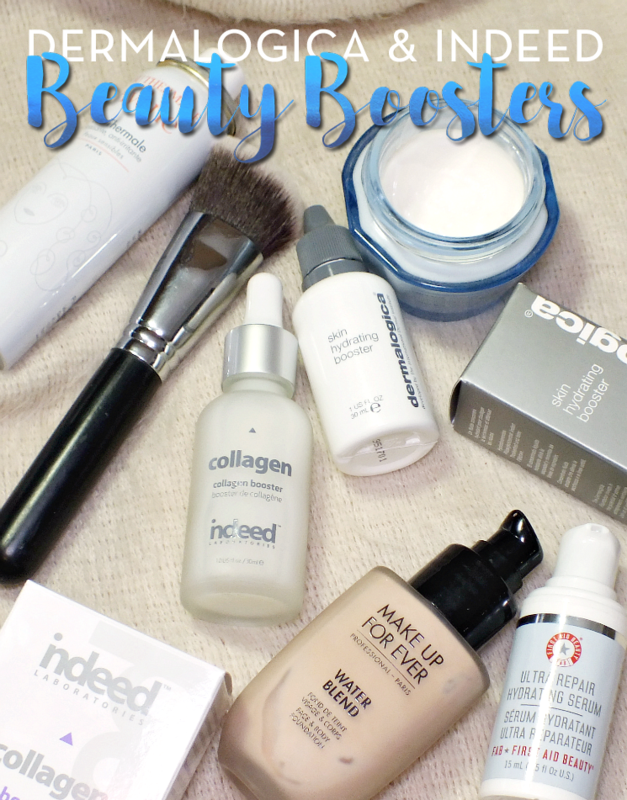 Have you added any boosters to your routine?